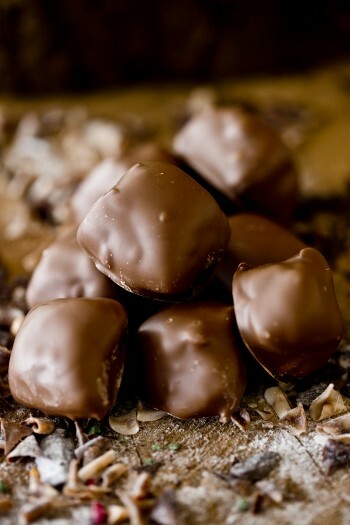 Chunks of golden honeycomb enrobed in our delicious milk chocolate. A classic and a real customer favourite! Milk Chocolate (min 33% cocoa solids): Sugar, cocoa butter, whole milk powder, emulsifier: soya lecithin, vanillin. Cinder Toffee: Sugar, glucose syrup, bicarbonate of soda, wheat flour.